After receiving Pond's- An Exclusive BDJ Box last March, I got another box just last week. This month of April, it's all about having a beautiful aura. The card says Spring into Beauty! 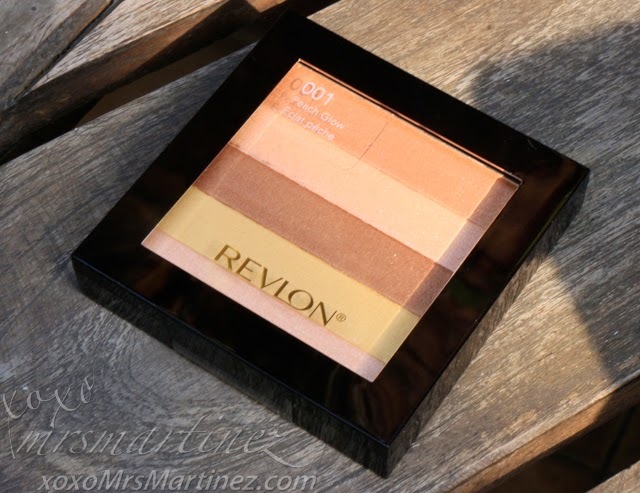 This highlighting palette can enhance your complexion for that radiant sun kissed look. It works not only as a highlighter but can also be applied as an eyeshadow and blush as well. Want big, bold and flirty lashes this summer? Try sweeping on this new FS Lash Extravagance Mascara. Don't forget to apply two coats for that lusciously curled dramatic eyes or three coats to get that Lash Extravagance look! Bath Salt? Soap? MyChoice Bubble Scrub Shower Salt 2-in1 bath essential is both! You can use this everyday to achieve glowing skin. 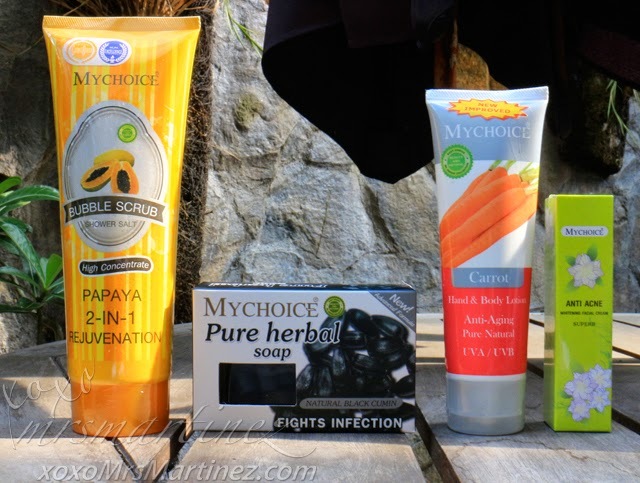 MyChoice Pure Herbal Soap comes in 6 variants. Each soap has a special property that suits different needs. It contains natural ingredients and can used day and night. MyChoice Hand & Body Lotion has 5 variants to choose from. All variants are proven safe because they are made from natural ingredients. MyChoice Anti Acne Cream contains AHA and BHA that can fight acne but gentle enough without causing skin irritation. Visible result can be seen in just three days! The lulur beads in Asian Secrets Lulur Indonesian Whitening Facial Scrub gently exfoliates and removes dead skin cells and black heads revealing fairer, whiter and smoother skin. I only knew of face mask, this is my first time to see an actual foot mask. 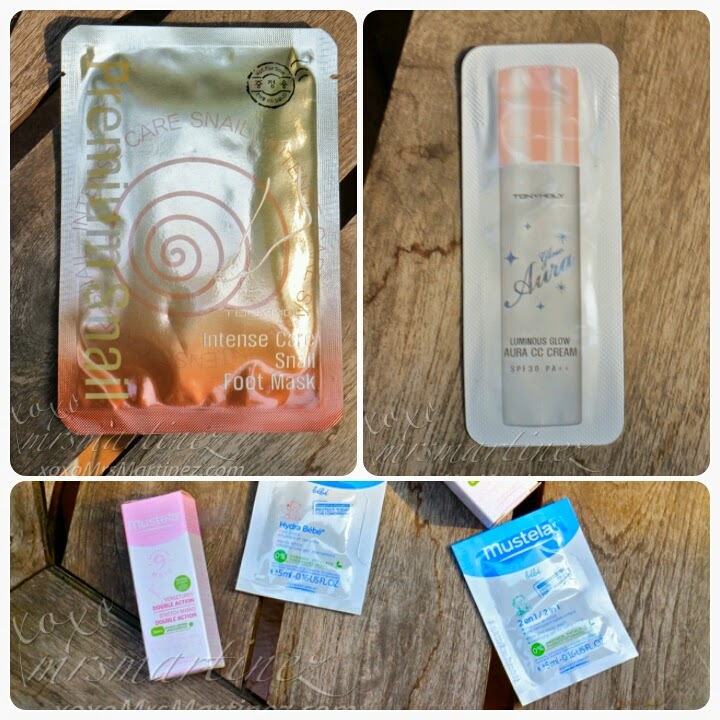 Tony Moly Intense Care Snail Foot Mask contains snail slime extract which is known for stimulating collagen formation and moisturizing properties. I can't wait to try it and experience the benefits on my dry skin. What are you waiting for? Spring into Beauty and show off your best blooming self with BDJ Box!